If You’re Going to Drink, Choose Red! There have been a lot of benefits associated with drinking red wine. Now, a study at Cedars-Sinai Medical Center at Los Angeles has demonstrated that a glass of red wine a day may help reduce the risk of breast cancer. What did the researchers find? Chemicals just under the skins of red grapes (and in their seeds) lowered women’s estrogen levels slightly (and also boosted testosterone levels). How is estrogen control helpful? 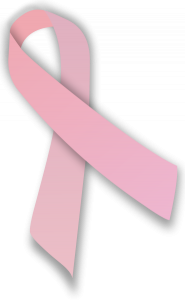 Elevated levels of estrogen, in women, puts them at a greater risk of developing breast cancer cells. Lower estrogen levels decrease the risk of this cancer. Women participating in this study who drank red wine experienced lowered levels of estrogen, while women who drank white wine exhibited no estrogen reduction. As with most studies, researchers stressed that further studies are still required. Even so, it’s interesting that moderate amounts of red wine have shown a beneficial estrogen-reducing effect, while white wine displayed no impact on estrogen. Dr. Chrisandra Shufelt, assistant director of the Women’s Heart Center at Cedars-Sinai Heart Institute, has commented that “If you were to have a glass of wine with dinner, you may want to consider a glass of red. Switching may shift your risk.” This is some curious food for thought. Please note that of course this blog does not constitute medical advice. Consult your primary care physician before making changes to your diet or lifestyle. Women should not drink alcoholic beverages during pregnancy because of the risk of birth defects. “Contains Sulfites”–Don’t Fear the Label! “Contains Sulfites” is printed on most bottles of wine we purchase. We may even know people who claim to be allergic to sulfites and abstain from drinking red wine. (They often substitute a few glasses of white.) Other people complain that the sulfites in all wines give them headaches; they avoid drinking wine altogether, preferring other spirits. What is interesting, however, is that use of sulfur dioxide is not limited to wine production. In fact, sulfur dioxide is commonly used in the food industry, partly because of its antibacterial nature! Sulfite levels in wine are actually much lower than those found in the majority of foods we consume. Pizza, fruit juice, jams, jellies, cookies, crackers, soda, flour tortillas, hash browns, and other common foods contain substantially high levels of sulfites. So do prescription medications. Although a small number of people genuinely suffer from sulfite allergies, the majority of us do not–we can eat pizza or pop a pill without developing a rash, itching, or swelling up. However, many folks are still quick to point to the “Contains Sulfites” label should a headache follow a few glasses of red. If you have not been diagnosed with sulfite sensitivity, chances are that your headache is not caused by your glass of red or white! (Why white?) Contrary to popular thought, in actuality red wines contain fewer sulfites than white wines. That’s right! Less sulfur dioxide is required to protect reds because of the tannins these wines naturally contain. Though sulfites have often been blamed for causing headaches, many people choose to drink whites with higher sulfite levels to avoid headaches! The headaches such people experience when drinking red wine are, therefore, not caused by sulfites, but might be caused by the tannins in red wine, which release serotonin. 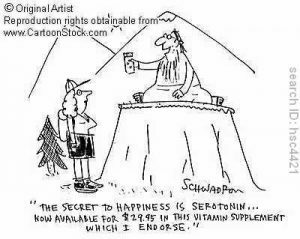 And high levels of serotonin–the “happy” hormone–are known to produce headaches. If tannins are really the issue, think twice the next time you have a bar of chocolate, cup of tea, or healthy soy snack; these foods are also rich in tannins! Sulfites abound in the foods we eat daily, from pizza to processed potatoes, yet these foods do not display large “Contains Sulfites” labels. Dried fruit, alone, contains about ten times more sulfites than a glass of red wine. 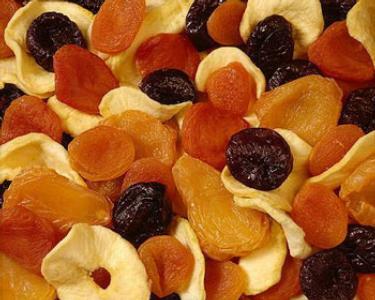 If you consume dried fruit snacks and feel fine afterward, you probably do not have a sulfite allergy. When it comes to wine, don’t buy into the sulfite hype. But obviously, if you experience frequent or severe headaches you should talk to your doctor. Here on the VC Blog, we’ve talked about wine vinegars a lot. We’ve discussed how to make delicious homemade red wine vinegar and white wine vinegar from those leftover bottles taking up space in your kitchen. We’ve also talked about how to then take those tasty vinegars to make individual bottles of flavored vinegars that are equally great to use in the kitchen and to give as gifts. Vinaigrette: In a few tablespoons of vinegar, dissolve salt (and, if you like, a little dijon mustard and/or minced garlic or shallots). Slowly stream in olive oil to taste, only a few drops at a time at first, whisking all the while. This is a tasty, healthy salad or veggie dressing. A splash of vinegar in a sauce or glaze wakes up the flavors without adding salt or fat. Vinegar is a great dieting tool–sprinkle it on foods to add taste at only 2 calories per tablespoon. Vinegar also dulls the appetite and gets rid of cravings for sweets. Use vinegar as a marinade. Vinegar, since it’s acidic, breaks down tissue, making your meats super tender. Splash some vinegar (and herbs, if you’d like) into a bag with your meat and let it hang out for a few hours or overnight. If you get stains from fruit on your hands, remove by wiping with vinegar. Love poached eggs but have a hard time keeping them from falling apart while cooking? Add a splash of vinegar to a barely simmering pot–vinegar helps the whites coagulate. Crack eggs into small individual bowls, and gently tip into the water one by one. After 3 minutes or so, you’ll have perfect poached eggs. Use wine vinegar to deglaze a pan. After browning meat in oil or butter, remove all but a tablespoon of fat. Crank up the heat and pour in a splash of vinegar. Boil and scrape away at the bottom of the pan to loosen all those tasty brown bits. Add stock or even water, and finish with a pat of butter for a delicious and easy pan sauce. Fish and chips! Enough said. Use in place of lemon. (Both are intended to add acid to a dish.) Add 1/4 teaspoon vinegar for a tablespoon of lemon juice. Sprinkle wine vinegar and olive oil over a sub sandwich for a flavorful, healthy alternative to mayo and mustard. Have white coffee cups stained from coffee or tea? Wipe out with white vinegar to remove the stains. Stinky kitchen? Boil a quarter cup of white wine vinegar with a little water. Let the smell circulate around the kitchen and it will remove smoky, fishy, or any other nasty smells. Clean vegetables with 2 tablespoons of vinegar in a gallon of water. Add a dash of vinegar to a canned soup or sauce to wake up the flavors and make them taste fresh. There are dozens of uses for vinegars in your kitchen and the rest of your home. These are just a start….share your favorites in the comments! You’ve probably heard before that red wine can have an impact on heart health. But what exactly is it about this beloved beverage that can keep you living better, longer? Studies on red wine began to emerge when scientists realized that the French, despite indulging in rich, buttery, and fatty foods, experience less obesity and live longer than people in many other countries, including the U.S. The French also drink a lot of red wine–280 glasses per year, as compared with the average American consumption of 68 glasses per year. Could there be a connection? Alcohol: Alcohol raises HDL cholesterol, or high-density lipoprotein cholesterol, often called the “good” cholesterol on the evening news. It helps keep blood clots from forming, and prevents artery damage. Alcohol may also improve heart health by helping you relax, lowering deadly stress. Flavonoids: Flavonoids are antioxidants found in many foods, including tea, onions, cocoa, and oranges. White wine and beer have them too, but the levels are much higher in red wine. These types of antioxidant, called polyphenols, help protect the lining of the blood vessels in your heart. Nonflavonoids: Another type of polyphenol, nonflavonoids have become the focus of recent studies. In mice, they have been shown to help prevent arteries from becoming clogged with fatty deposits–perhaps the reason the French way of accompanying frites (french fries) with red wine has worked out so well for them. The nonflavonoid that has received the most attention of late is resveratrol. Resveratrol: Resveratrol, found in the skins of wine grapes, might be a key ingredient in red wine’s apparent ability to reduce damage to blood vessels, prevent blood clots, and reduce “bad” cholesterol. Red wine has about 10 times more resveratrol than white wine. Research in mice indicates that resveratrol protects from diabetes and obesity, and may reduce inflammation and blood clotting. All of these things are associated with heart disease. Of course, all these studies also show that drinking too much wine is much worse for you than not drinking any at all. Most health professionals suggest one to two glasses a day, with meals. So be sure to drink in moderation. But the next time you’re filling your glass, you might want to choose red wine. And make a toast to your heart.